Many membership-based organizations rely entirely on their member dues to generate revenue. But in reality, non-dues revenue streams can provide an even greater opportunity. According to a poll conducted by Association Advisor, 44% of associations are able to double their revenue through non-dues sources. Imagine what your nonprofit could do with double the revenue? Better programs. Bigger promotions. More Staff. To help you think of ways to create non-dues revenue sources for your nonprofit, we surveyed 487 small to medium-sized nonprofits to find out how they do it. Here are the results of the survey which reveal the top ways nonprofits generate non-dues revenue. Survey respondents showed an overwhelming agreement that events are the most important source of non-dues revenue. One respondent even noted that events represented 99% of their organization’s overall revenue. Here are the top 5 sources of non-dues revenue reported by our survey participants. Every nonprofit is different. Just because one can create more revenue from a certificate program doesn’t mean all will. 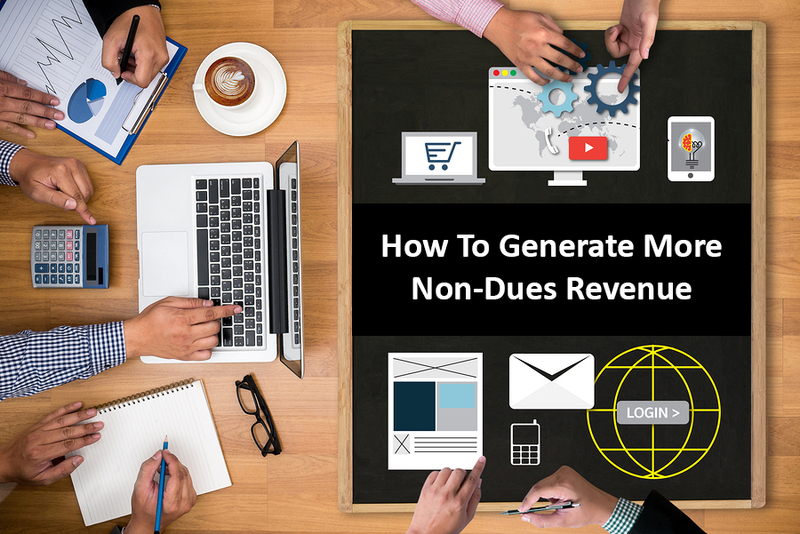 The easiest way to discover what non-dues revenue sources will work for your nonprofit is by doing what some of the most successful nonprofits do: ask their members. It’s your members after all that know best what they want. One engineering association I know conducts a yearly member survey to ask what additional services and programs members want. One popular idea was to create more online educational resources. This led to the association launching a paid webinar series, which proved to be a consistent source of monthly revenue. If you’re a small nonprofit and all this seems daunting, you’re not alone. Bob Jonas is the Managing Director of Association Revenue Solutions and in his experience, this is typical. He points out that most small nonprofits don't realize they already have the tools and channels at their disposal to easily create extra streams of non-dues revenue right away. If you’d like to know where to get started, I’d encourage you to read his brief guide that covers the basics of non-dues revenue.